The AUT business school provides flexible learning spaces, where any class can happen in any room. 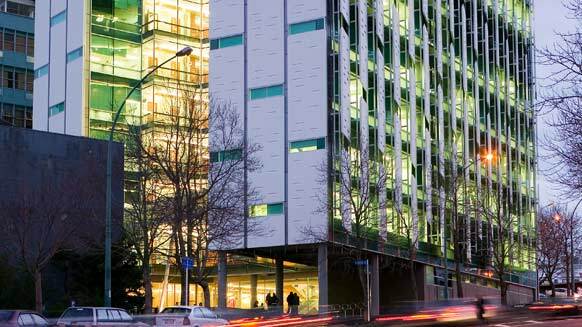 The improved building efficiency allowed AUT to use uniform class sizes and efficient timetabling to achieve a previously unprecedented space utilisation of 85%. Environmentally sustainable design was a core focus in this project and the specification of sustainable materials was rigorously adhered to. The provision of bike stands at the entrance supports green commuting and design for low energy-use. 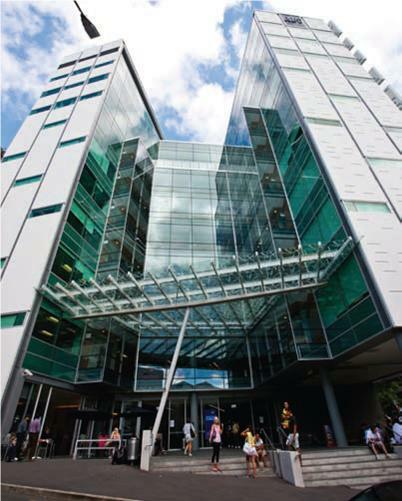 Although specifically designed for contemporary needs, this building has also been configured in a manner that would make it eminently suitable as a commercial office building, thereby future-proofing AUT’s investment. RCP was engaged as design and project managers and oversaw the design development and contract administration of the construction.